Legendary commentator and the voice of Formula 1 for millions of Formula 1 fans, Murray Walker has been diagnosed with a cancer of the lymphatic system. The condition came to light during routine tests carried out due to a broken pelvis that Murray suffered after a fall last month. "They've caught it incredibly early. It's treatable, the doctors say my condition is mild and I'm very hopeful," Walker said. 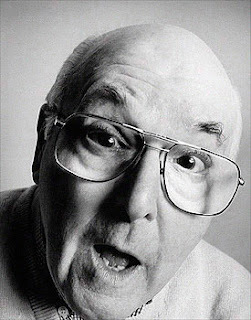 Murray Walker brought his high-energy commentary and enthralled me along with many Formula 1 fans through the 80's and 90's before retiring after the US GP of 2001. He has a collection of catch-phrases and mis-speaks, but the most memorable of them is : "Unless I am very mistaken… and yes, I am very much mistaken." Follow the link to his most famous sayings.